A few years back, the childhood friends Mirka Olin and Nina Rantala, were united at their mutual friend’s breakfast. Mirka, a passionate tea drinker, and Nina, who always gets excited about good ideas, ended up planning a Nordic Tea Revolution of their own. A revolution where Mother Nature’s ingredients, such as lingonberries, birch leaves and rhubarbs, are cherished. Now, the founders of NORD-T have their own little tea factory! 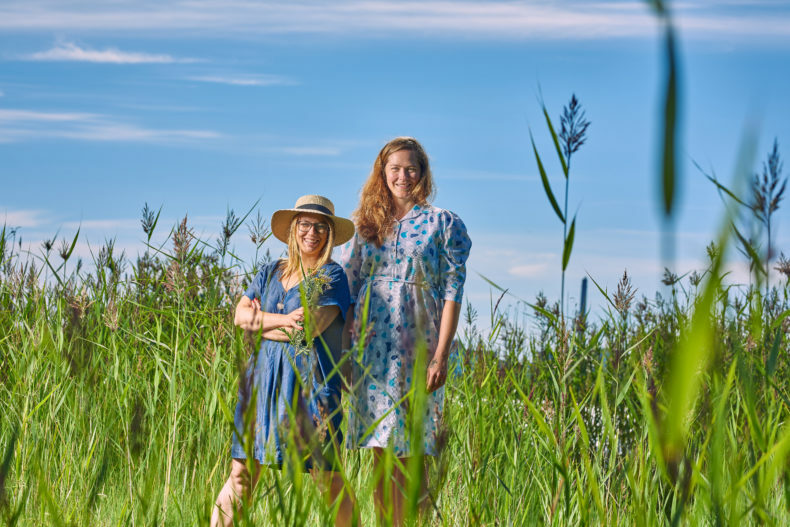 Mirka Olin and Nina Rantala want tea lovers to join their Tea Revolution! 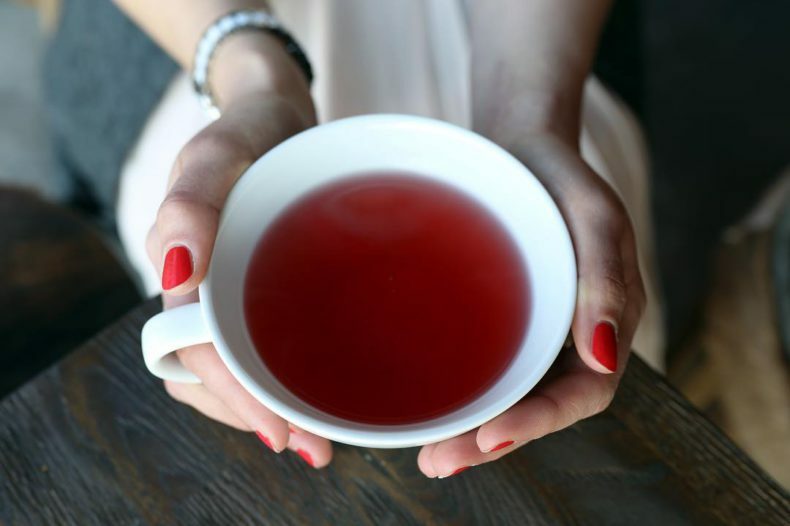 The Nord-T teas have no industrial flavourings, no additives, no nonsense – just goodies made by Mother Nature. What’s the secret ingredient of Nord-T and where are they made? Nowadays, many tea blends are actually just factory made flavours blended with tea. We wanted to be a more natural option for tea lovers. So, our secret actually is that we have no hidden ingredients. We’re proud to say that all of our raw materials are grown by the most skilful farmer of them all – Mother Nature. We use no additives, absolutely no natural or artificial aromas, and we rely just on ingredients straight from forests, like lingonberries and birch leaves, and from farms like rhubarb and strawberries. We used to make everything by hand in Helsinki but moved now our “little tea factory” as we call it, to the middle of Finnish countryside – to Kihniö. Most of our Finnish ingredients are from Lapland or central Finland, so it is a good place to be, closer to our raw materials. We are trying to expand our organic farmers’ network here in Finland, as all of our teas are already certified organic. We get tea from most popular tea countries like China, India, Japan, Nepal and South Africa. Most of Nord-T’s ingredients are from Lapland or central Finland. Their teas are made in Kihniö, Finland. How do you ensure the responsible supply chain, have you visited the farms in India or Nepal, for example? Obviously, it is easier to keep track of our Finnish farms than the ones in Asia. We use single origin teas, instead of ready made tea base blends, to ensure from which farms the tea comes. Also to only go for EU organic certified farms, is a plus as they need to comply with EU regulations, not only with local rules on sustainable farming. I used to live in China and India, so we have a basic idea of how tea farms work, and we have used the help of an international Fair Trade spokesperson to source best places. 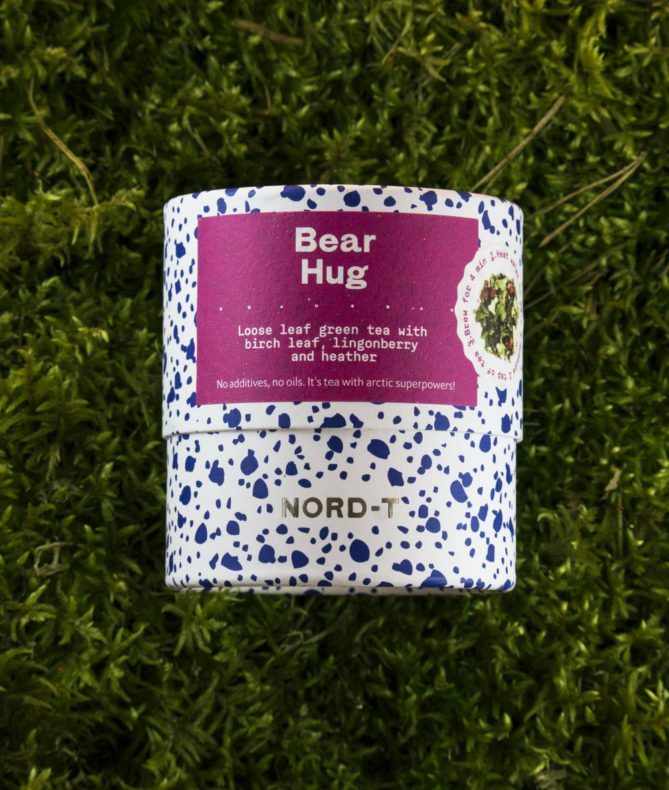 The delicious Bear Hug tea will give you the same superpowers as it contains the fine berries, which also bears enjoy to survive long and cold Nordic winter. Real lingonberries bring beautiful light red hue to the brew. What is the Nordic Tea Revolution? It was something we started saying when we wanted to change Finnish restaurants, and cafés outtake on tea. Tea was always an overlooked item on the list, meanwhile coffee had different roast degrees available, from different beans, and baristas knew how to make everything from espressos to cappuccinos. We wanted restaurants and cafés to offer better quality options for their tea drinkers. And then later when we started crafting our own blends, it became more focused on Nordic nature. We have such pure natural goodies growing in our northern lands, but still, our forests are many times considered just good for cellulose. 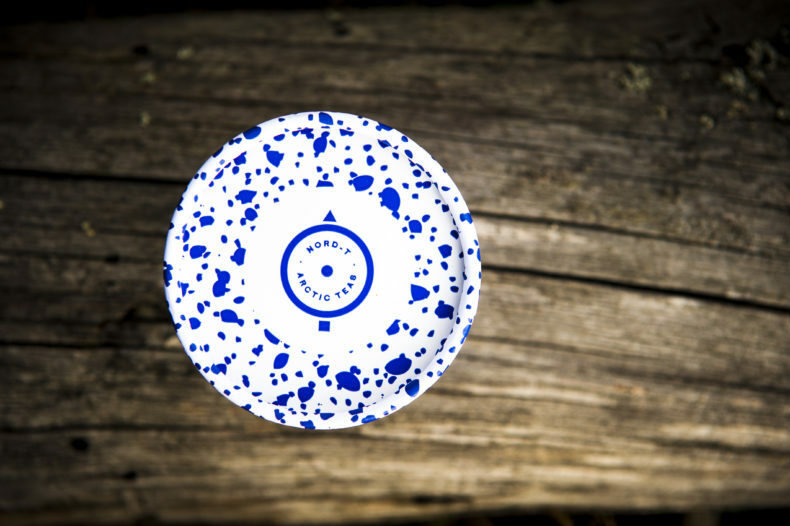 So Nordic Tea Revolution is about tea and the Nordic forests! What do you think of the Finnish tea culture, is there any? Finnish tea culture is growing, although we are still far from others. Finns like their tea in tea bags, whereas in many heavy tea drinking countries tea bags are considered as a low-quality second-class option. A cup made from loose leaf tea is truly a treat, and you have more subtle taste varieties in loose leaf than with bagged teas. Personally, I love Indian chai tea and Mirka can tell many stories of French tea boutiques. So thumbs up for them! 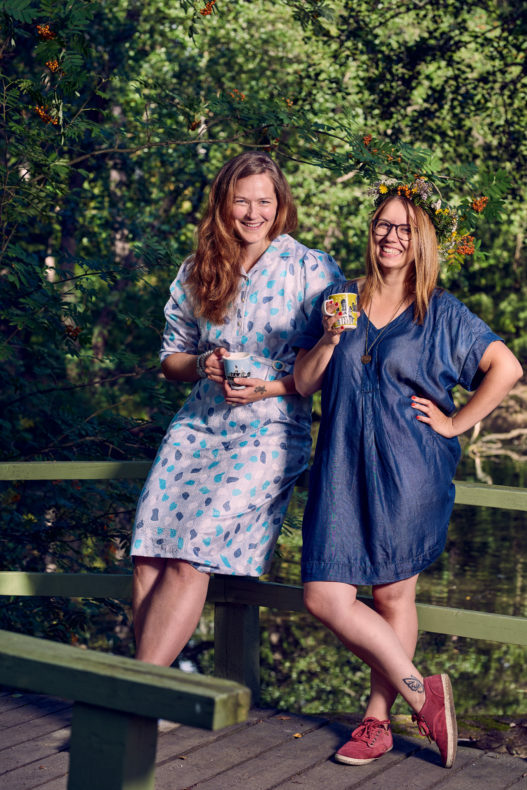 Nina and Mirka want the tea culture in Finland to grow as popular as the coffee culture is. What are your favourite Nord-T teas? Describe a perfect situation and place for tea. It changes by the season. Right now I have drunk more of COPENHAGEN green tea than anything because it is just so soft and sweet – a big tea pot is not enough. Mirka’s favourite by far is Bear Hug because it has a strong forest feel and it smells heavenly of birch leaves. We think tea tastes best when served to others. If it is a summer picnic or just having a friend over, sharing stories over a cup of tea is wonderful.